Introduction: Graha Yuddha or Planetary War is an important principle in Vedic Astrology. Its utility in prediction merits a special mention for it aids in improving the accuracy of prediction. Varahamihira’s greatest classic on Astrology viz., Brihat Samhita deals with the concept at length regarding its impact on mundane matters. Sripathi Paddhathi, Surya Siddhantha , Brihat Parashara Hora , Hora Ratna , Maana Saagari, etc deal with the method of assessing the strength of planets at war . Also, some isolated references on the effects of planets defeated in Grahayuddha are seen in other classics like Jataka Naradiya ,Saravali, Shambu Hora Prakasha, Sanket Nidhi, Hora Sara, Prashna Tantra, Daivagna Vallabha, etc . In this article , based on the information compiled from these classics, I have demonstrated the practical utility of these principles in analyzing the natal charts. 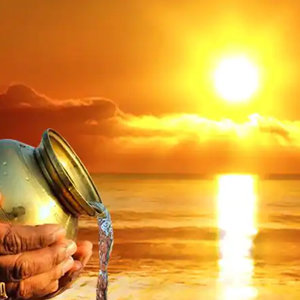 What is Graha Yuddha : In simple terms, close conjunction of ‘Tara Grahas’( Kuja, Budha, Guru, Sukra , Sani) is known in Hindu Astronomy as Graha Yuddha. As we all know, in the celestial mechanics, all planets are in constant motion both along their own axis and around the Sun. The speed of their orbits around the sun are different from each other and the plane of their orbits are inclined at various degrees so as not to cause any collision among them. But, during their movement some times they come very close to each other within 5 degrees of longitude, at different declinations. Under such conditions, the rubbing of Rashmi (rays) of one planet with another takes place which is technically called as war between the planets or Graha Yuddha. As a result of this clashing of forces of their respective rays, planets (either one or both ) become weak. Their lustre or activities like speed of rotation/revolution, etc may marginally vary. The physical state of planets in war is thus different from their normal states. This variation affects the natives having such a combination in the natal charts. It also creates devastating effects in national and international matters the study of which is resorted to in Mundane Astrology. Types of Graha Yuddha : According to Brihat Samhita , there are 4 types of planetary war . They are : 1. Ullekha : When Planets are posited within 5° but not within 3° and posited in the same Nakshatra Pada , the rims of two orbs of the planets are grazing each other and the disc of one appears to be rubbing against the disc of the other. This is called as Ullekha. 2. Bedha : When Planets are posited within 5° in same or different Nakshatra padas but in two different rasis, the disc of one planet appears to be eclipsed by the disc of the other. This is called as Bheda. 3. Amshumardhanam :When Planets are posited within 1° in the same nakshatra pada, the light of one planet mixes with that of the other. This is called as amshumardhanam. 4. Apasavya : Planets being posited within 5º either in same/different sign/ rasi and if One planet is retrograde but the other is in direct motion , the planets are distinctly separated from each other. This is called as Apasavya. Besides the above, Bowddha , a fifth type of planetary war is also said to occur when Planets are posited within 1° in different nakshatra padas. (Bhattotpala, the celebrated commentator on Brihat Samhita, alludes to as many as 15 types of planetary war the details of which are not available in extant literature). Although 5 types of Graha Yuddha have been enumerated above, in many classics such as Sripathi Paddhathi (Adhyaya 3 & Slokas 15to 17), Brihat Parashara Hora (Ch.29/ Sl.20), Surya Siddhantha (Chapter 7), Shambu Hora Prakasha (Ch. 3/ Sl.22&23),etc two planets are considered to be in Graha yuddha only when their longitudes are within 1º . In such cases, the total strength of each planet should be first calculated ( in practice, aggregate of Sthana Bala, Dig Bala and Kala Bala up to Hora bala are only taken) and the difference in their strength should be divided by the difference between the diameters of their discs (Bimba parimaan) and the result is known as Yuddha bala which is to be added to the strength of the victorious planet in the north and to be subtracted from that of the vanquished planet in the south. In the second method of calculation, Bimba parimaan is not used and the difference between the aggregate strengths is added to the winner and deducted from the vanquished. In western Astrology the concept of graha yuddha is not available. But, a similar one called as the “ORBS” is employed. The term is used to denote the space within which an aspect is judged to be effective. For aspects between planets other than the luminaries the orb is 8º . 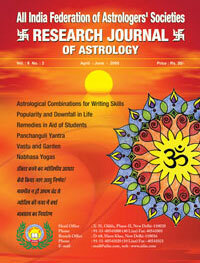 Here, it must be noted that conjunctions of planets are also treated as a type of aspect only as per western method. These orbs also vary depending up on whether a planet is moving towards another (applying) or is moving away from it (separating) while casting the aspect. Identifying GrahaYuddha in a horoscope: 1. If two or more out of the five ‘Tara Grahas’ viz., Sukra, Budha, Kuja, Guru and Sani are posited in any horoscope within a span of 5° longitude they are said to be at War or Fighting with each other. 2. Only these 5 planets enter into Graha Yuddha. Sun, Moon, Rahu and Ketu are never at war with any planet. Close conjunction with Sun causes Combustion while that of Moon is identified as ‘Samaagama’. 3. The winner and loser in the war are decided based on the longitudes or declinations of planets . The planet with the lesser longitude is always the winner and the one with higher longitude is said to be vanquished . Planet with more northern declination is the winner. The winner is usually large (Vipula), glossy ( Snigdha) and brilliant(Dyutiman). The loser, posited in Southern declination, is rough, trembling, withdrawing from the other without contacting it, small, mounted, of ugly appearance, bereft of radiance and colour. 4. A planet in conjunction with another which might appear of small disc or dim is deemed to suffer defeat even though he might be a northern planet. 5. There is a special rule for Kuja being the commander of the planetary cabinet . whenever Kuja is in war with other planets he is always considered as the winner irrespective of his longitude or declination. 6. As Venus is always bright, he is generally successful whether he appears southern or northern, according to Surya & Paulisa Siddhantas. 7. Rahu and Ketu which are permanently retrograde, have a stronger effect if posited within 5º of a particular planet. But, they are not considered according to the rules of planetary war. Guidelines for understanding the effects of Graha Yuddha in NATAL CHARTS 1. The Winner in planetary war is always strong enough to deliver what it has to deliver by virtue of its role/ lordship/ position/ status in the horoscope. The portfolios of the planet will prosper . According to Saravali ( Ch.5/Sl.40), a planet that has won in a planetary war is capable of bestowing complete happiness and kingdom that cannot be besieged. 2. A victorious planet when conjoined with Chandra and not combust, gives very auspicious results, victory over enemies , a high post in Government, etc. 3. The loser is said to be in “ Kopa” avastha or “Nipiditha” avastha. The results of this avastha are always bad for the native irrespective of lordship or placement of the planet in the horoscope. The portfolios of the planet will suffer. The more a planet is stricken, the more it will harm everything belonging to it. According to Saravali ( Ch.5/ Sl.27), a planet defeated in planetary war not only loses its potence to be auspicious but also becomes capable of bestowing malefic effects in full . Also, according to Shambu Hora Prakasha(Ch.2/Sl.35), a planet receiving defeat in planetary war is said to be incapable of giving favourable effects. 4. Benefics who are vanquished by a malefic are rendered very weak where as the benefic winning over a malefic becomes much stronger. According to Saravali (Ch.12/ Sl.6&7), a benefic planet victorious in planetary war at birth and is essentially aspected by another benefic, destroys all evils just as a gale can uproot trees. 5. If a planet is retrograde and is vanquished in a war, the damage is less. 6. If Kuja is engaged in planetary war and causes Kuja Dosha, there is no exemption from the Dosha irrespective of whether it is winner or loser. 7. If Kuja is within the orb of influence of planets in Graha yuddha, there is no exemption from Kuja Dosha. 8. If more than two planets are at war , then their relative results have to be judged by taking one as the loser with reference to the other. 9. If lagnalord is vanquished in planetary war , then the native will develop enmity with his Gnathis. ( Sloka 14 of Chapter 1 of Jataka Naradiya). 10. If the planet contributing to asceticism in a horoscope is over powered by another planet in planetary war, eclipse, etc., the native will give up the order after being initiated in to it. (Saravali- Ch.20/Sl.20).Similar information is available in Brihat Parashara Hora as well. ( ch..79/ Sl.10). 11. Such planets defeated in planetary war by malefics give unfavourable results. ( Prashna Tantra- Ch.2 / Sl.9) 12. Sukra , Kuja, Guru, Surya, Chandra, Sani, Budha, Lord of Lagna, Surya, Chandra are the lords of the months of pregnancy starting from the time of conception. These planets cause abortion in the months of pregnancy pertaining to them when they are in enemy’s camp, defeated in planetary war, conjoined with enemies , placed in heliacal setting or afflicted otherwise. (Daivagna Vallabha- Ch.13 / Sl.10 &11). As per Hora Sara ( Ch.4/Sl.21 ), Should any month’s lord be afflicted, or defeated in war between grahas, , or combust in Surya, the particular process will not progress (the foetus gets affected ) and there may not be smooth delivery . 13. One will be troubled by fear of enemies, will incur changes of place, be worried and overtaken by vices if the planet in Prapeeditha Avastha. (defeated in planetary war). (Shambu Hora prakasha- Ch.2/ Sl.52). The rationale of Graha Yuddha : It is worthy to note as to why only the 5 Tara Grahas (Panchabootatmaka planets) are said to engage in war and the luminaries are excluded from the purview of Graha Yuddha. Sun , being the universal spirit ( Jagat Atma ), is not affected by Tara Grahas. Whenever TaraGrahas come in contact with Sun they lose their originality and get dissolved in the universal spirit. That is why planets coming very close to Sun are said to be getting combust or burnt. That means to say that Sun is capable of absorbing the energies of all other planets as a result of which they lose their identity and individual influence. The orbs at which different planets get combust from Sun are also different for each planet because of the difference between their astronomical distances as well as sizes. Hence, the close conjunction of other planets with Sun is not considered in planetary war but is separately dealt with as Combustion. Moon is the Dasa significator. He is the planet responsible for unfolding the karmic influence of an individual in any birth by suitably activating one’s mind according to the designs of fate. That is possible only if there is a smooth interaction among the planets. Actually when planets conjoin Moon, a special effect is produced in each case by the interactive energies which creates a corresponding change in the mental make up of the individual as a result of which he reacts in a particular pattern for each of the stimulus from the external world. Thus, the conjunction of moon with other planets does not cause any destruction but only creates a modified synergic effect. This phenomenon has been called with a unique name. The word ‘Samagama’ is used for describing the effects of various planetary conjunctions with moon. As such, lunar conjunctions are not considered in planetary war. As already said, the influence of other planets on Moon actually activates one’s life. Planets vie with each other to take control of the native depending up on their role in the horoscope and based on their link with the Lagna, Rasi, Tatwa, Vela and other of birth-time conditions. The strongest planet of the horoscope along with Lagna and Rasi lords usually influences the native to a large extent. When the influence of Luminaries or Chaya Grahas ( Rahu and Ketu) become predominant in the horoscope the karmic effects of the soul are also at play in that incarnation. The concept of planetary war is an attempt to understand the impact of the Tara Grahas . If there is planetary war in a horoscope, the warring planets are sure to cause significant effects in the life of the native , auspicious or otherwise during their Dasa/Bhukthi. 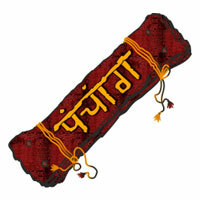 The pattern of events is easily understood if there is Graha Yuddha in a horoscope. Case Studies : Now , let consider some example charts and try to understand the role of Graha Yuddha in these charts. It can be observed that the effects are very significant and as such the concept of Graha Yuddha merits serious considerations while analyzing the natal charts for better accuracy in prediction. Ex. H1 : Horoscope of a Male D.O.B. 04-02-1960 , T.O.B : 01.30 PM (IST), P.O.B : Bangalore, Lat : 12-58 N Long : 77–36 E Ex. H.1 : Analysis : In this horoscope, Sukra , Sani and Kuja are in Graha Yuddha. Sukra becomes winner in its war with Sani. But, he gets vanquished by Kuja. As a result, both Sukra and Sani are rendered weak and become potential enough to give malefic results despite the fact that Sukra is the lagna Lord and Sani is the YogaKaraka for Vrishaba Lagna being the lord of 9th & 10th Houses. The conjunction of lagna lord Sukra with his friend and yoga karaka for the lagna Sani should have produced excellent results in the professional front for the native as Sani is also aspecting 10th house, its own house. Although the native got his first employment in a reputed PSU of Government of India as Junior Engineer In Chandra Dasa, Kuja Bhukthi immediately after completion of his diploma course at the young age of 19 years itself due to the positive influence of Kuja being the winner in Graha Yuddha (Kuja is the dispositor for Chandra also) , he was unhappy because of his place of posting being far away from his home-town. Besides, his career in PSU lasted only for about 21 years . As the company came uinder loss, he was forced to resign his job in Rahu Dasa, Sani Bhukthi. Here, we must note that Sani is the planet vanquished in Graha Yuddha by Sukra. Despite being 9th & 10th lord and aspecting 10th house, Sani could not save the native’s profession. Such is the over-riding impact of Planetary war. Ex.H2 : Horoscope of a Male Birth Details: D.O.B. 22-07-1981 , T.O.B : 04.43PM (IST), P.O.B : Bangalore, Lat : 12-58 N, Long : 77-36 E Ex. H.2: Analysis : In this horoscope, Guru and Sani are in Graha Yuddha in 2nd house. Guru is the winner.Sani, the planet vanquished in Graha Yuddha with Guru, is the 2nd & 3rd lord and is posited in 10th house and aspects lagna. 2nd house signifying primary education is occupied by Ketu. 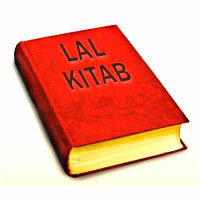 But, Lagna lord Guru is aspecting 2nd house . Karaka for education i.e., Budha is posited in Own house in 7th along with 5th & 12 th lord Mars, forming a RajaYoga. Thus, the benefic aspect of the natural benefic and Lagna lord Guru , the Kendra placement of 2nd lord Sani and Budha’s position in Own house should have guaranteed a good primary education to the native. But, The native had serious problems in Primary education up to SSLC level when Sani dasa was running. He could complete SSLC only with lot of extra coaching, because Sani is vanquished in Graha Yuddha which has lost its potence to be auspicious and the portfolios of the planet have suffered. Also, during April 2007 the author was consulted by the mother of this native for deciding on the choice of profession as he had got two opportunities, one as Mechanical Engineer (Sani in 10th) and another as Computer Engineer (Budha in 10th to 10th ie., 7th ). In spite of the author’s advice to opt for Computer Engineer’s post, he joined the Mechanical Engineer’s job . But, left it within 6 months as he could not continue there. Presently, he is happily employed as a computer Engineer hardware Engineer in a locally reputed company. As Sani is vanquished in Graha Yuddha , he could not continue his profession in mechanical engineering field . Ex.H3 : Horoscope of a Male Birth Details: D.O.B. :12-01-1959 , T.O.B : 00.20 AM (IST), P.O.B : Bangalore, Lat : 12-58 N, Long : 77–36E Ex. H.3 : Analysis : In this horoscope, Sani and Budha are in Graha Yuddha. Sani is the winner nad Budha is the defeated planet. Sani is 5th & 6th lord posited in 4th house in conjunction with Lagna & 10th Lord Budha., both aspecting 10th house along with 12th lord Sun. 10th lord Budha conjoined with natural malefics Sani and Surya is to be considered as a malefic and his placement in chaturtha Kendra gives extra strength to him. His aspect on 10th house, being its own house, should have given him a very good influence in profession. although the native was employed in Government in Telecom Department as Telephone Operator in Rahu Dasa (Rahu is in the house of Budha in lagna) immediately on completion of his graduation due to the influence of 10th lord Budha, the native could not raise up in his career. despite attempting many times to get through in departmental competitive examination for promotion to higher posts, he was not successful due to the fact that Budha is defeated in planetary war. The winner Sani is aspecting 10th house. But, his domain of influence being 5th and 6th houses, the native is blessed with a son who is very good in his education. The native has no ancestral property or any other source of income. But, has been managing his life fairly well without any significant loans or commitments due to the positive influeence of Sani, the winner in planetary war. It is also significant to note that he got two financial upgradations in his carrer based on his length of service, for which Sani is the significator. Ex. H4 : Horoscope of a Male D.O.B. : 24.05.1984, T.O.B : 03.05AM (IST), P.O.B. : Bangalore, Lat : 12-58N Long : 77.36E Ex. H.4 : Analysis : In this horoscope, Kuja and Sani are in Graha Yuddha and kuja is taken as the winner. Both the warring planets are retrograde . Kuja, the lord of 2nd and 9th houses , is posited in 8th house along with Sani , the 11th &12th Lord . Kuja and sani are aspecting 2nd house . Guru , the lord of lagna and a natural benefic, is aspecting 2nd house from his Moola trikona Rasi. As such, the benefic aspect of Guru and the aspect of Kuja the winner in Graha Yuddha on its own house , should have given the native very good results as regards 2nd house, the Vak Sthana. But, the native has very serious stammering problem and cannot speak properly. The position of Budha , karaka for speech, in karaka sthana ( also badhaka for Meena Lagna) and the adverse aspect of Sani , the planet defeated in Graha Yuddha coupled with the retrograde aspect of 2nd lord and natural malefic Kuja have severely affected the native.